The aim of this module is to provide a learning resource for all dental team members involved with radiology. Successful completion of this course fulfils GDC and CQC requirements for the Ionising Radiation (Medical Exposure) Regulations (IRMER) 2000 and IRR99 for continuing education in radiation physics and equipment. This module covers IRMER requirements for, radiation physics and equipment the production of x-rays, their properties and interactions which result in the formation of a radiographic image, and the biological effects of radiation and its risks and benefits. Radiography and Radiation Protection is a GDC recommended subject for continuing professional development. Suitable CPD for all dental team members involved with radiography. 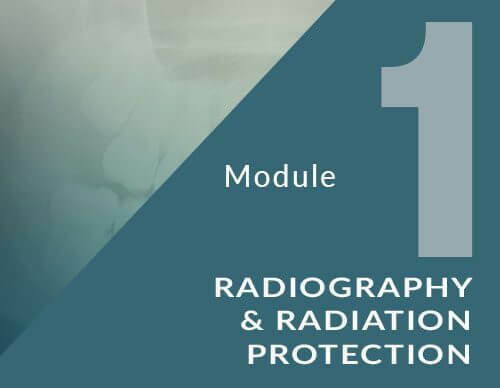 Completion of this module and passing the associated quiz will satisfy GDC requirements for 2 hours of CPD in Radiography and Radiation Protection. It meets IRMER requirements for learning relating to radiation physics and equipment. Define ionising radiation and explain the general properties of radiation. Describe the production of x-rays as well as the biological effects, risks and benefits. Define the terms exposure, effective dose, absorbed, equivalent and collective dose. Explain the stochastic, somatic and deterministic effects of radiation and give examples.